We've said it multiple times, and we're going to say it again: Video is the king of all content marketing right now. People LOVE video. Customers LOVE video. Social Media LOVES video. But most important, Google LOVES video. So, now that you're convinced that you want to create great engaging video content that you're audience will love watching, how can you optimize that amazing video for search? Check out these 4 tips to learn how you can optimize your videos and start driving organic traffic and eyeballs to your content. 1. Start with the content - Researching keywords is something we harp on when it comes to writing blogs, and this is no different when it comes to creating videos. Start brainstorming content ideas around keywords that are popular with your audience. Think about Frequently Asked Questions or things people are searching for within your business vertical. Your videos should answer those questions or explore those topics. Not only will the videos be more popular with your audience, but they will be more likely to show up in more common searches. 3. Choose your hosting platform wisely - First thing's first, ALWAYS add your video to your website. In most cases you may need to upload it to YouTube or Vimeo first, then embed on your website, but that is all dependent on your own individual website builder. Whether you put it in your blog or on some other page, hosting your video on your website is critical. If you've done the SEO work on your website that you should have, (check out this blog to learn more about that topic) your video is only going to benefit. 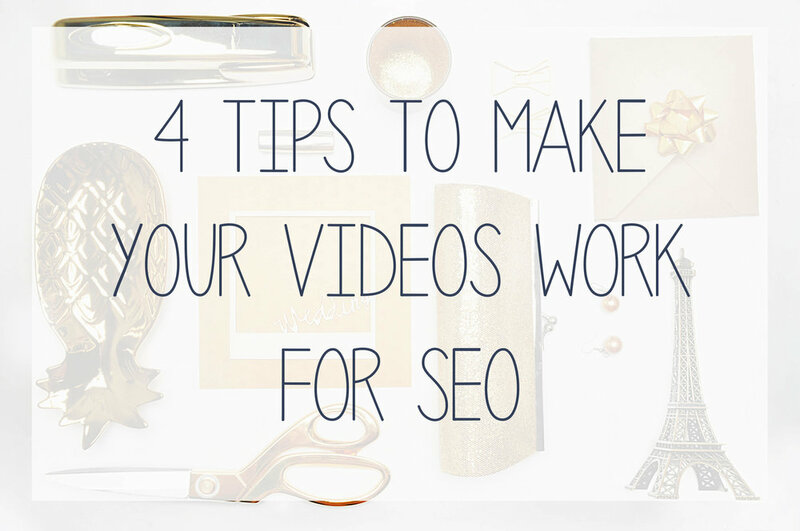 Capitalize on that SEO (in fact, even add to it) by publishing your videos on your website. After that, run through some of the more popular video hosting and social outlets to not only increase your SEO (and links back to your website), but to promote your video to the various audiences. 4. Use your video for good - Ok, so you've published your video on your website, Youtube and Vimeo and then promoted it on Facebook, LinkedIn, Twitter and Instagram. Now what? Use your video to start doing the thing it was intended to do, help people! Look through message boards or in groups related to your business and see where people are asking questions around your particular topic. Commenting on these posts with a link back to your video is a great way to drive organic traffic to your video without seeming spammy or annoying. People in these places are looking for information. And you're here to provide it!